Each month we intend on bringing you a wedding colour guide with some inspiration from our friends on Pinterest and our recycled stationery range. 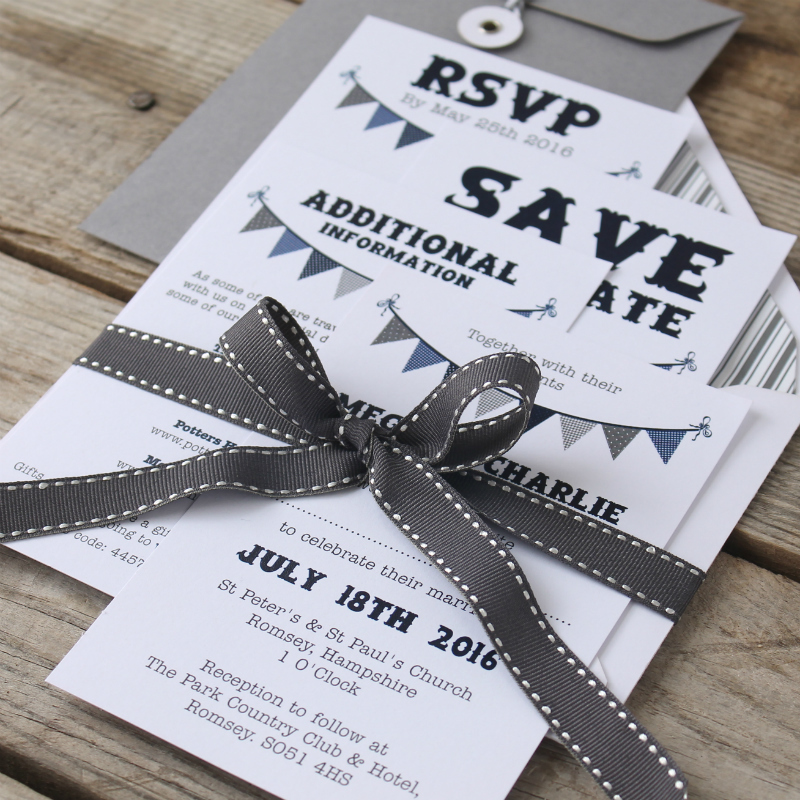 This month we bring you Grey, pewter and silver, which are still proving popular for Autumn / Winter wedding colours. If you are considering grey for your big day, why not combine this classic colour with a new level of elegance and chic by mixing in a few modern stags. Colours can be bold with red, or choose dusky pink for a more subtle theme. Mix a little bit of elegance with modern bright white as your base colour for your theme. 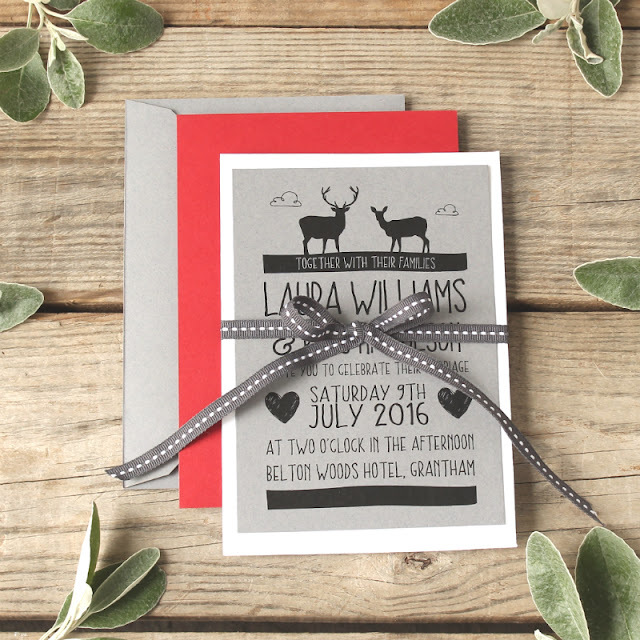 Grey can also be matched with tones of pewter and silver for a little bit of sparkle, and are ideal for Autumn or Winter weddings. 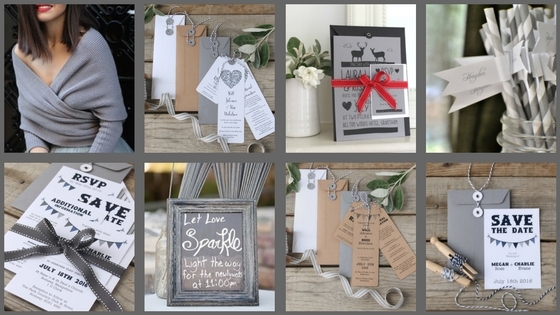 When it comes to colour and texture for your bridesmaids - anything goes! 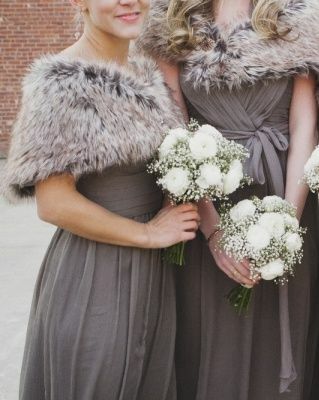 If you are having a late summer wedding, different shades of grey are suitable, or if your wedding is Autumn Winter, add a little shrug or fur wrap to complete your theme. 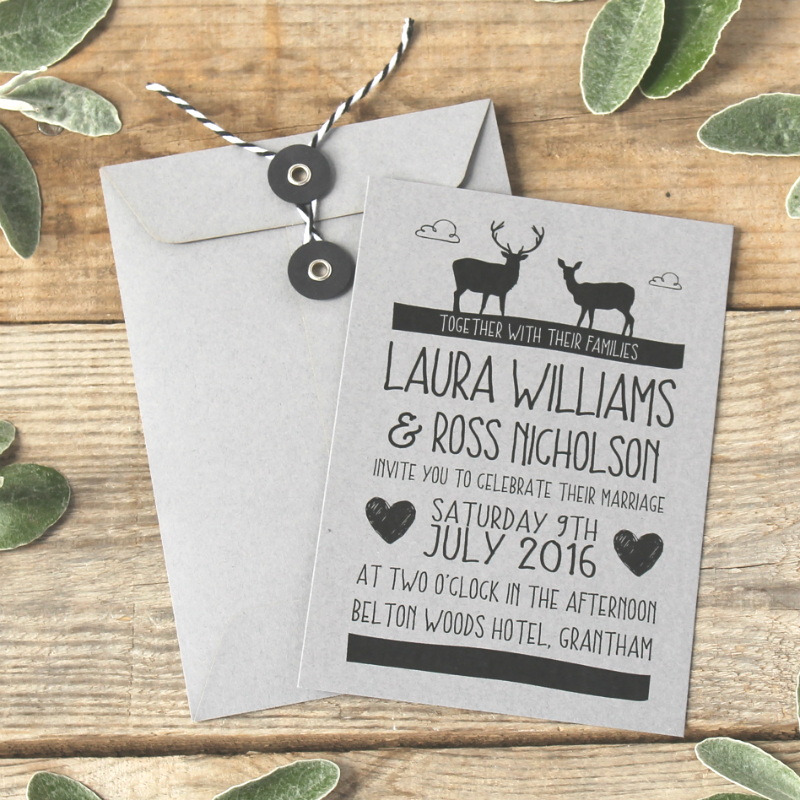 Simple white roses and gypsophila are ideal flower colours to really bring the grey theme together. With so many talented cake designers out there, why not carry your silver theme through to your cake too? 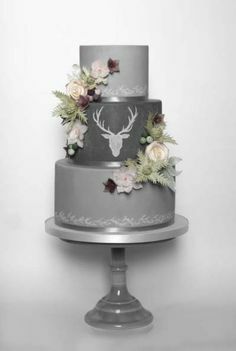 We think this cake with the stag on is amazing! 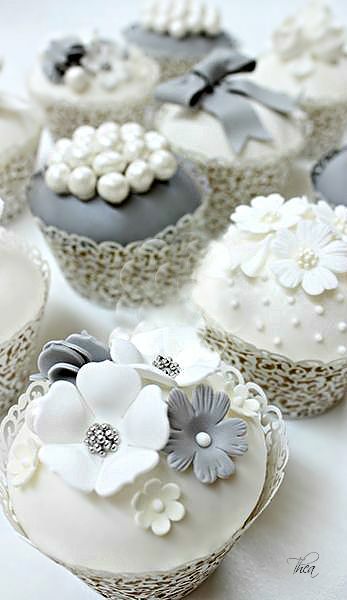 Or ask your cake designer to create a mixture of grey, white and pewter cupcakes. 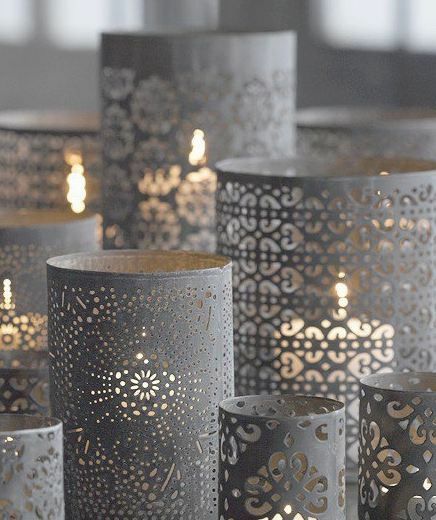 Add some grey or pewter candle holders to a brilliant white table cover to carry the theme through the whole day. Candles can be real flame or battery operated candles. We like simple grey napkins with a spring of rosemary and a personalised place name tag. 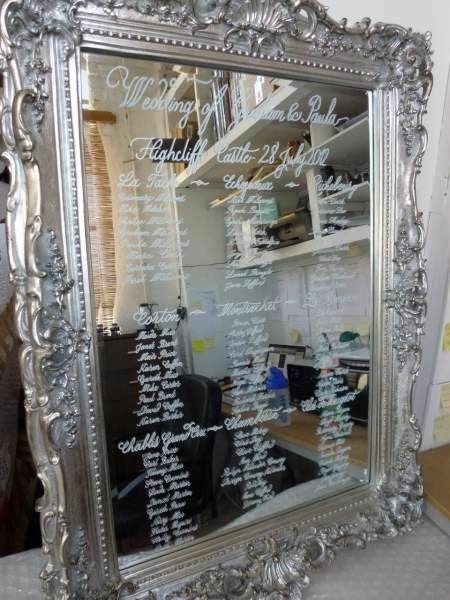 For a really unusual table planner, purchase an old mirror from an antique centre (or car boot if you are lucky enough to find one!). 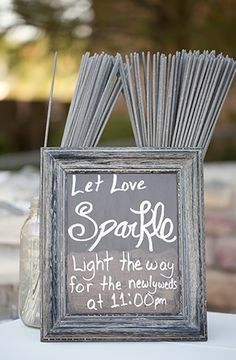 Spray paint the frame with pewter or silver spray, most home DIY stores sell it in spray cans. 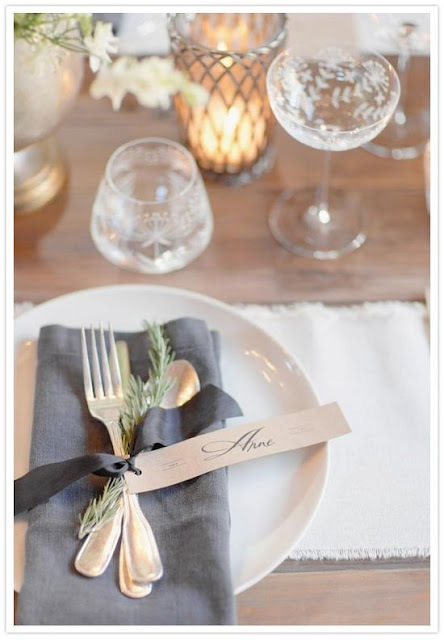 Using a white glass marker pen to add your guests table names or numbers, and their names.